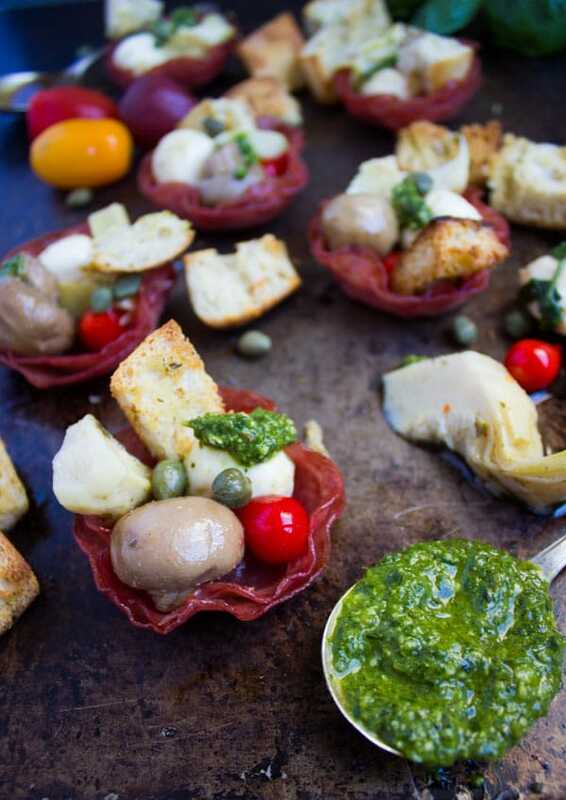 Next time you’re entertaining, make these Bite-Sized Antipasto Salami Cups instead of an antipasti platter! You’ll absolutely LOVE the simplicity of this recipe. 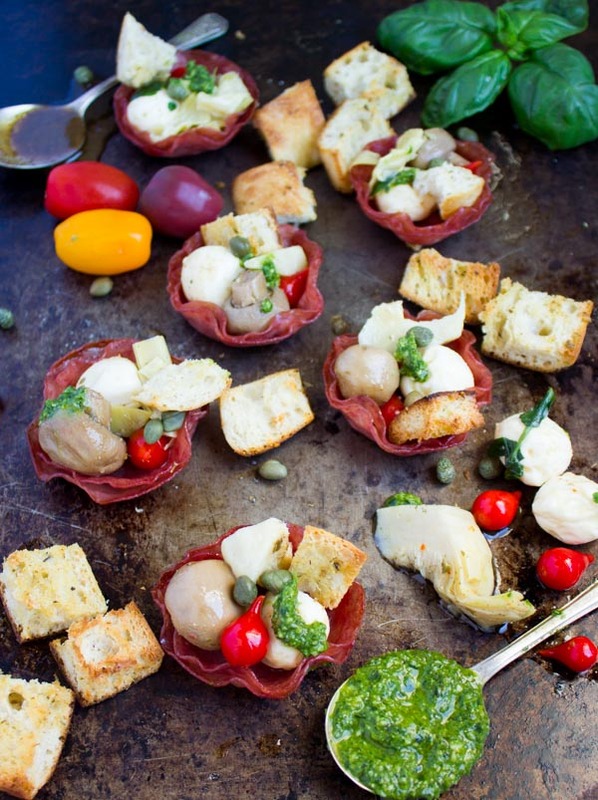 All you need is to gather your favorite antipasto ingredients and arrange them in salty and savory homemade salami cups! 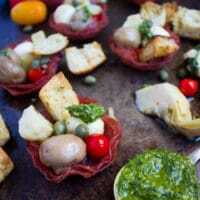 I’m so excited to share this bite-size antipasto cups recipe with you. It was handed down to me from a dear old friend. I’ve unfortunately lost contact with her, but I remember her and her amazing food vividly. 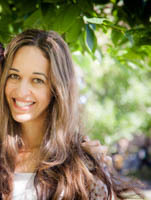 She’s a lady I met when I was just a newlywed, probably fourteen years ago (Yikes! how did time fly?). I connected with her instantly. She was kind, sweet, supportive, wise, and loved sharing her family’s Italian food! 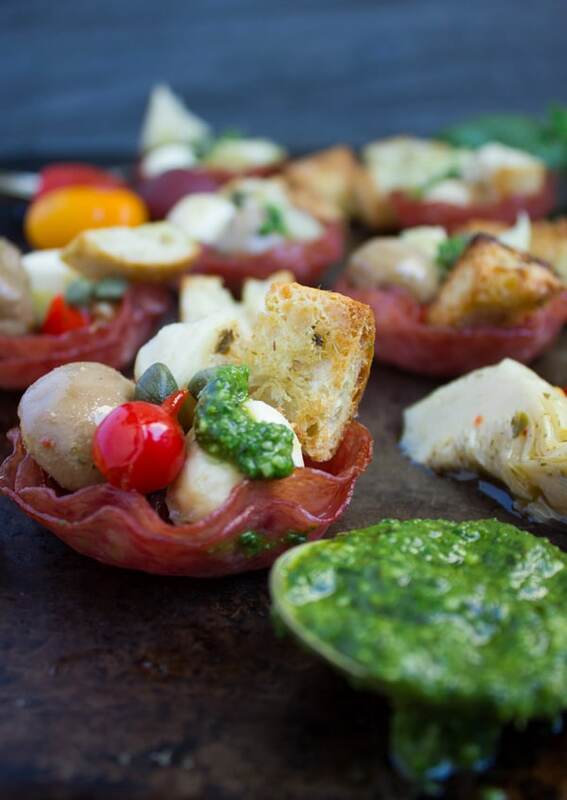 Her name is Marie and these salami cups are inspired by her amazing antipasto bites! 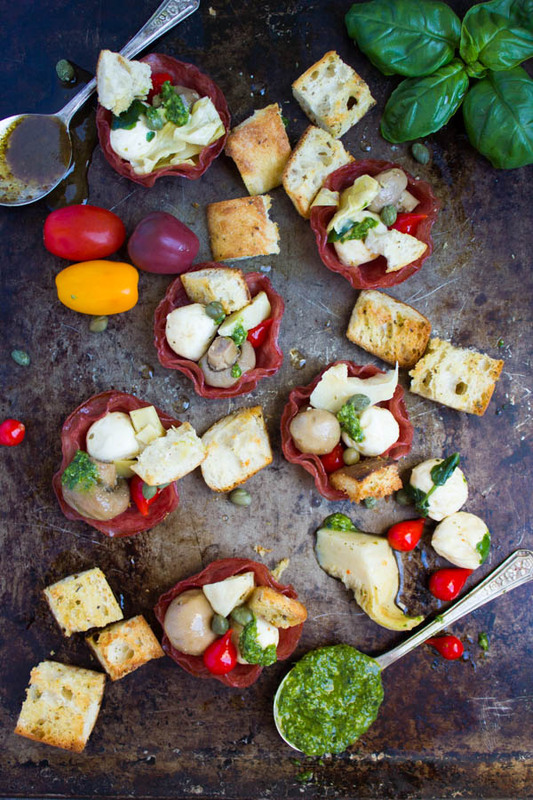 If you’re a fan of antipasto like I am, you’ll love these bite-sized salami cups filled with all kinds of pickled and marinated veggies and cheese! The beauty of antipasto in general is how you assemble it, so there’s no real recipe, it’s rather all about what you love to put together. Whenever you go to your local food retailer you’ll find a huge antipasto bar, which is a great place to pick up a little bit of everything and mostly inspiration! Today I chose some spicy tiny sweet peppers, marinated mushrooms, marinated bocconcini cheese, grilled artichokes, marinated capers my favorite garlic-oregano-parmesan croutons. Then I used my favorite protein packed nut free hemp basil pesto to drizzle slightly over the antipasto bites. Perfection! For the salami cups, I chose my favorite soft salami (hard type works great too), and I chose it to be mild because I had a teeny bit of hope that my kids might eat them. Well, my oldest had just a couple and the picky little Miss didn’t care to actually look at them. So certainly, feel free to go as spicy or mild as you prefer. 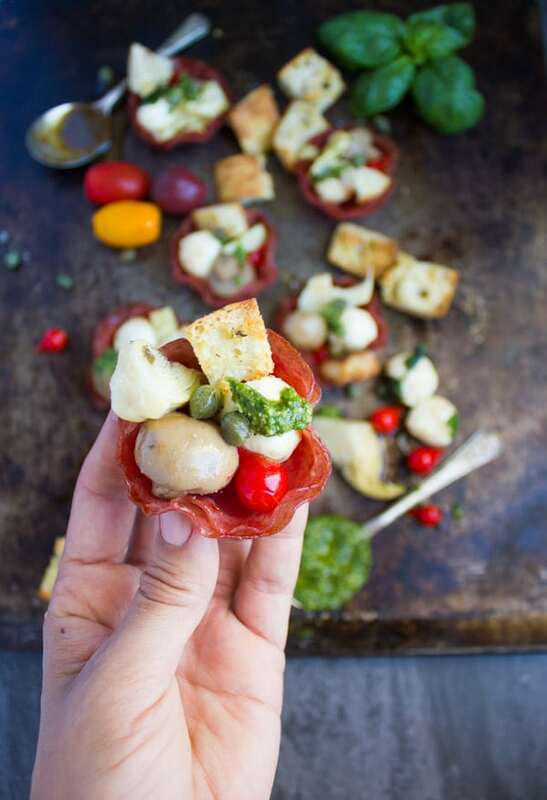 The trick to these antipasto bites is to have your salami perfectly fitting into your muffin tins. 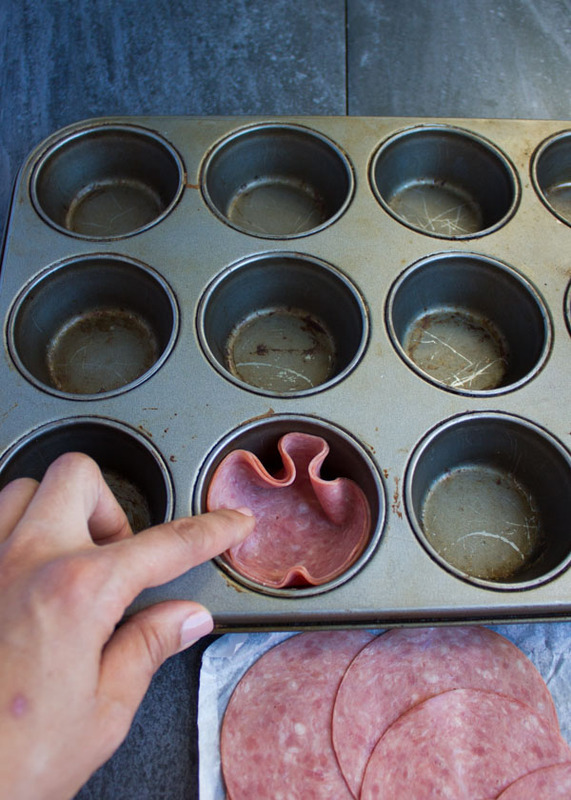 Line your muffin tin with a double layer of salami slices and bake at 375 F.
The salami gets baked for 15 minutes or so. It won’t be crispy or anything, it should be rather chewy and sturdy enough to hold in the antipasto filling. Now hello it’s fun time! Fill your salami cups with your antipasto filling of choice. Do so in any order you like, just make sure not to overstuff your salami cups! Then drizzle some basil pesto and balsamic vinegar on top and enjoy!! I can’t urge you enough to make these mini salami bites—they’re totally addictive and you can make them with your favorite pickled and marinated veggies and cheeses! You can experiment with a mini muffin pan but I suggest sticking to a standard muffin pan just because it’s a good size for one serving and the cavity will be big enough to fit the antipasto filling. Make sure to form a DOUBLE layer of salami when making the cups. A single layer will not hold any filling. Don’t freak out when you see the salami cups coming out of the oven! They will look quite oily at that point, so just grab some kitchen paper and dab them lightly to absorb as much of that oil as possible. 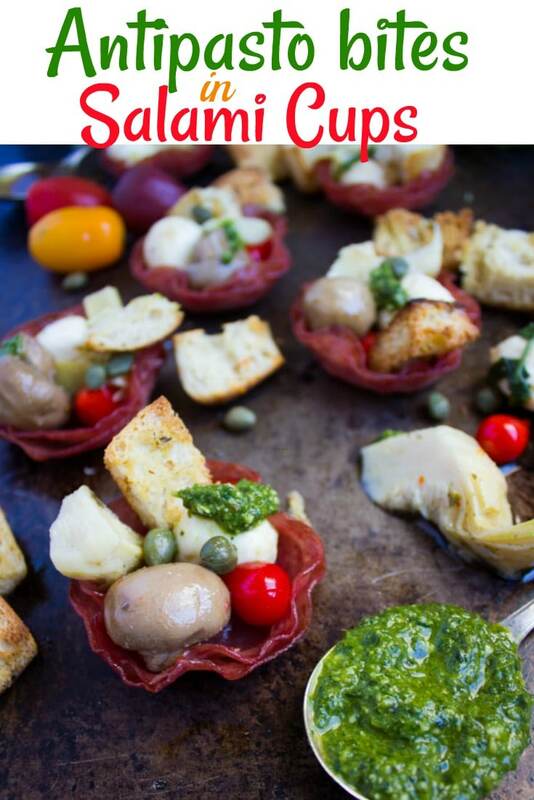 Next time you're entertaining, make these Antipasto-Filled Bite Size Salami Cups instead of an antipasti platter! You’ll absolutely LOVE the simplicity of this recipe. All you need is to gather your favorite antipasto ingredients and start assembling these bites of goodness! On a parchment lined baking sheet, toss the croutons ingredients and place them in the oven for 15 minutes until crisp. Remove the baking sheet and keep the oven on. 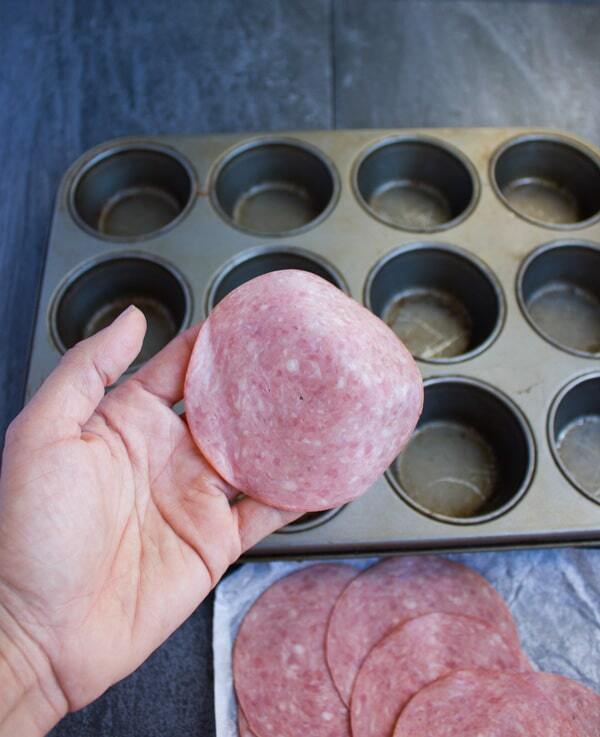 Take a standard muffin pan and place 2 slices of salami into each muffin cup cavity pressing them down to form a cup shape. Bake the salami for about 15 minutes until it starts to shrink and get darker in color. 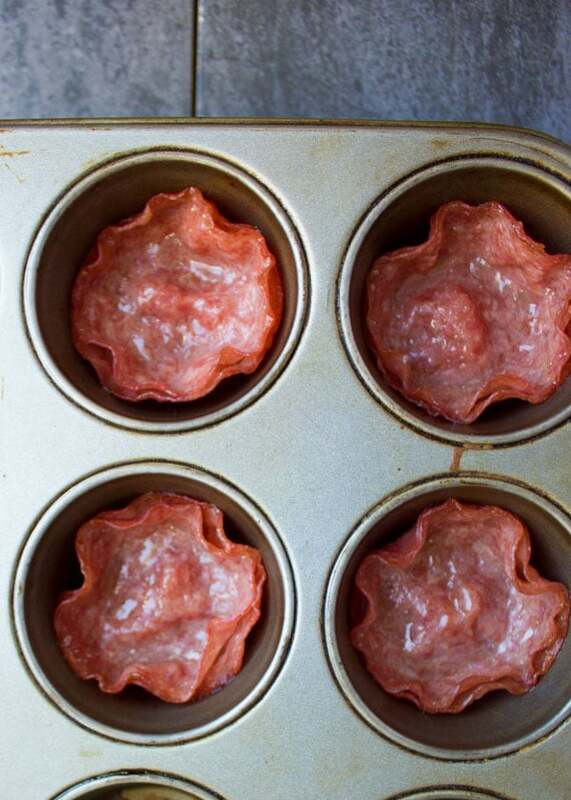 Remove the muffin tin and let the salami cups cool down for 10 minutes. Dab off any oil on the surface of your salami cups. Don't freak out when you see the salami cups coming out of the oven! They will look quite oily at that point, so just grab some kitchen paper and dab them lightly to absorb as much of that oil as possible. that is one hearty appetizer I can make a whole meal out of these they look fantastic! So true Claudia!! I think my next move is to make it into a huge size! What a great idea for an appetizer. This will be a big hit with my family! Hope you try it! If you love appetizers, you’ll love these!! Oh, wow… very creative! and that pesto looks fabulous. I bet a chimichuri sauce would be delicious too. This would probably also work well with puff pasty for a vegetarian version. Can’t wait to give this a try! It sure would Catherine. I think the chimichuri is a brilliant idea here! It’s really worth it Karyl! I love this idea for a bite sized appetizer! The variety is looks delicious, and it looks like a great bite to give a little something for everyone! Make them for the Holidays, they’re really good! hahahah for sure! Thanks Kylee! Are you into keto? This is one of the best recipes that I’ve ever seen! Looks very appetizing. Wonderful combination of ingredients. You are a genius and I save your recipe! Hope you try them soon!! Ah so cute.. I love the idea. My kids love salami so this would be a huge hit in our home. I love how simple and easy this is. What great looking appetizers. Love that you used the salami as the cup to hold the rest of the goodies. My meat eating family would gobble these little bites of goodness in no time. In fact, I think the family would rather have antipasti than the main meal. hahahah I would too Marisa!